While we were arguing over why Samsung didn’t offer 6GB of RAM and dual rear cameras on the regular Galaxy S9, the company was busy finding ways how it could do that specifically for the Chinese market. The Samsung SM-G8850, which was spotted earlier on the TENAA website, has now been listed in full by the certification authority, along with images of the phone. This isn’t the Galaxy S9 mini as we had speculated, but a new variant of the regular Galaxy S9. 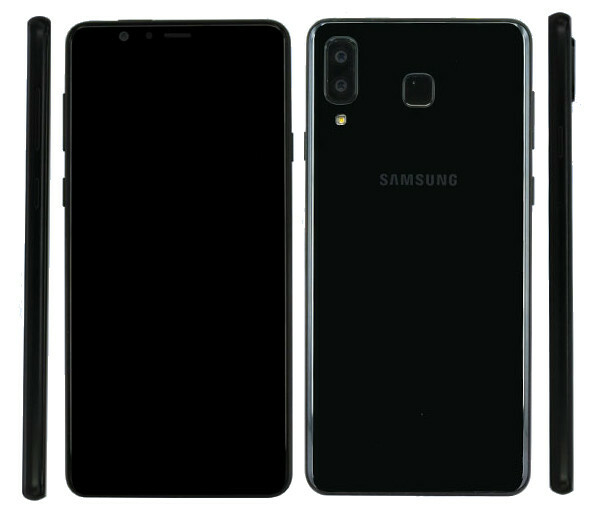 It seems Samsung is going for an iPhone-like design to attract consumers, with the SM-G8850 sporting a rear camera setup like the one seen on the iPhone X. Is this how the Korean giant is planning to get back into the game in China? It certainly looks like it. Galaxy S9 with a flat display for China? The SM-G8850’s 5.8-inch display is missing curved edges, the curves at the back of the phone are very minor, and the fingerprint sensor is shaped different from Samsung’s usual implementation as well — is it possible that these changes are what allowed the company to find space for the dual camera? Of course, the more likely explanation is that Samsung knows it has to offer its best if it intends to survive in China, but the problem here is that the regular Galaxy S9 is already available in the country. It’s possible the SM-G8850 would be exclusive to one of China’s major carriers, though there’s no way to be sure until the phone goes official or we get more information ahead of its launch. Other specs of the SM-G8850 include an octa-core processor clocked at 2.8 GHz (so a slightly overclocked Exynos 9810), a 3,000 mAh battery, Android 8.0, an 8-megapixel front camera, and 12MP+12MP cameras at the back. Yep, pretty much what you see on the Galaxy S9 and Galaxy S9+, only this time inside a body that looks more like the iPhone. And if we look at the Galaxy C series of phones, aiming for an iPhone-like design isn’t entirely new for Samsung. If that’s what helps them sell more smartphones in the country, that’s great, but it seems like a slap in the face for consumers who had to settle for the less exciting 5.8-inch Galaxy S9 outside China. That’s fake. The fingerprint scanner placement is actually the camera on an S7 and the camera with a bump is something Samsung will never do. Another example of how Samsung can get things wrong and an insult to those who bought the regular S9 that in my opinion shouldn’t have ever been released as it is now. This is what the S9 should have been worldwide (minor the awful design and placement of the camera lenses). That’s not real!! LOLOL . The fingerprint scanner placement is actually the camera on an S7 and the camera with bump is just a bad photo-shop. Some people are incredibly dumb and believe everything they see! Nice. Making Chinese exclusives for the Chinese market that has a sub-1% adoption rate. On the market that makes the least sense to release such product they go ahead and release it. Samsung, you are asking for drama. May be its the s9 active ! Good specs.. but bad bad design.. a blend of Iphone X and Huawei designs.. finger print sensor is placed just like Huawei nd Xiaomi phones in country..
Chinese people are so weird they love bad designs. Just when you thought that samsung moved away from being called a copycat, they came back to it, and put better specs in a smaller model that I wished they had done with the regular S9…I would love 6 gb ram in the regular s9 that i have. It reloads apps. Classic Samsung they beef up the hardware specs for the Chinese/Hong Kong Variant, but the software updates are always far behind. My Hong Kong S8+ ( 6gb ram & 128gb storage) got stuck with January security patch and no Oreo. That’s fake..you actually believe that’s real??? LOLOLOLOL!!!! Not keen at all on the design, but the dual camera, and the upgraded internal specs – is as you say, a slap in the face for literally every other nation out there that have bought an S9 series smartphone… Its just a shame that more people don’t know this is what Samsung does – save their best devices for the Chinese market. Think the world would have a lot more to say about it if they knew. Since its for the Chinese market, I’m not mad at the horrible design and cheap iPhone X imitation. They live for that there.